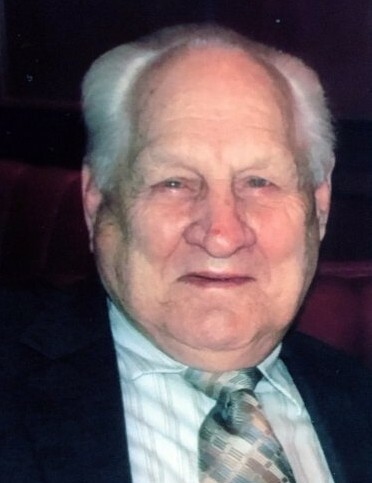 Gerald Basinger, 86, passed away March 15, 2019 at Summa Akron City Hospital following a long illness, surrounded by his family. He was under home hospice care of Ohio Living for 15 months. Gerald was born and raised in Melcroft, PA, to the late William and Dora (nee Davis) Basinger. He was a veteran of the US Air Force and he resided in Akron where he worked for The Standard Oil Company. He retired after 25 years with the United States Postal Service as a letter carrier. He had a love for his family, enjoyed sports and the outdoors, and will be remembered as a great Little League coach. In addition to his parents, Gerald was preceded in death by his sister, Alice Miller. He leaves his wife of 63 years, Carol (nee Hays) Basinger; daughters, Cynthia (Paul) Schlichting and Cathy (Gary) Taylor; sons, Gerald Isaac Basinger, Jr., Barry (Tammie) Basinger, and Jeffrey (Sherry) Basinger; eleven grandchildren; thirteen great-grandchildren; six great-great-grandchildren; sister, Delores Miller; and twin brother, George (Violet) Basinger. Private family graveside services will be held at Greenlawn Memorial Park. In lieu of flowers, memorial donations may be made in Gerald’s name to Ohio Living Hospice, 83 N. Miller Rd., Ste. 101, Akron, Ohio 44333 or to Riverside Alliance Church, 2433 S. Main St., Akron, Ohio 44319. To leave a special message online for the family, visit our website at www.schermesserfh.com.